Customer agrees to a $50.00 minimum in cleaning each month. The service provides twice weekly pickup and delivery of garments to a home or office. 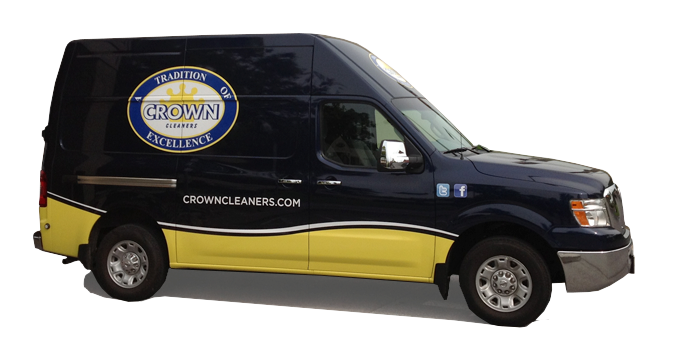 Crown Cleaners can also provide service on a “Will Call” basis when needed. An inquiry to our Route Manager can explain this in more detail.